Argentina's star footballer Lionel Messi, who recently got married with long-time partner Antonella Roccuzzo, will sign a new contract with Barcelona when he returns from his honeymoon in the middle of this month. As per goal.com, was set to return to the Catalan capital with his family at the weekend, but will now not be back until around July 12. However, after the wedding, the couple changed their plans and is now in the Caribbean islands of Antigua and Barbuda for their honeymoon with sons Thiago and Mateo. 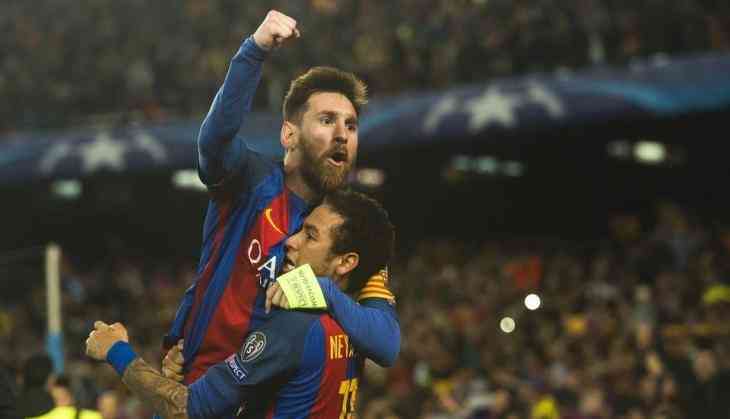 It is expected that Barcelona's players are expected at the training ground in Sant Joan Despi for medical examinations on June 12 ahead of club's pre-season preparations and Messi will be back by that. The Argentine will be out of contract in 2018, however, a new deal is all but finalised after months of negotiations between the player, his father Jorge and the club. The fresh agreement will take the five-time Ballon d'Or winner until 2021 with the option of one further season. The 30-year-old, who made his debut for Barca in 2004, won 30 trophies during his time at the Catalan club, scoring more than 500 goals. This new contract could see him retire at Camp Nou.